In a thrilling game that ended with a game winner by Markieff Morris, the Washington Wizards beat the Portland Trailblazers 125-124 for their 5th straight win. The first quarter started off as a shootout between these two teams. Despite the Wizards putting up 30 points, the Blazers when above it with 36. This game was making out to be a high scoring game. After a close first quarter, CJ McCollum had other plans. McCollum came out on fire to start to second period and Washington had no answer for him. McCollum led Portland on a 14-3 run to start the quarter, going up by 17 points. Things were not looking too good for Washington. However, like always Scott Brooks sent in his starters to save the day. The starters came in and went straight to work going on a 14-5 run. This gave Washington some energy back and help them get back in the game. Portland was not going to give up that easily. They showed why they have won four games in a row. The Trailblazers ended the half on a 15-4 and went into halftime with a staggering 21-point lead. McCollum torched the Wizards for 25 first half points. During this five game road trip, Washington has played better in the second half of games. Washington trailed by 15 points after the third quarter in Sacramento last night but came out with an overtime victory. They would have to do a lot of work if they wanted to repeat that effort again. They knew started the half on a 13-7 run and cut the lead down to nine points. Portland made efforts to com back but Washington outscored them 33-21 going into the fourth quarter. Washington started the final period on a 15-7 run cutting the lead all the way down to one point with just one starter in the game. With the Wizards down 106-98, John Wall scored eight straight points to cut the lead down to one-point. After another good defensive play, the Wizards get the ball back. Wall’s backcourt teammate Bradley Beal hit a three-pointer to give Washington their first lead since the first quarter. Washington went on a 15-0 run to take a six-point lead. 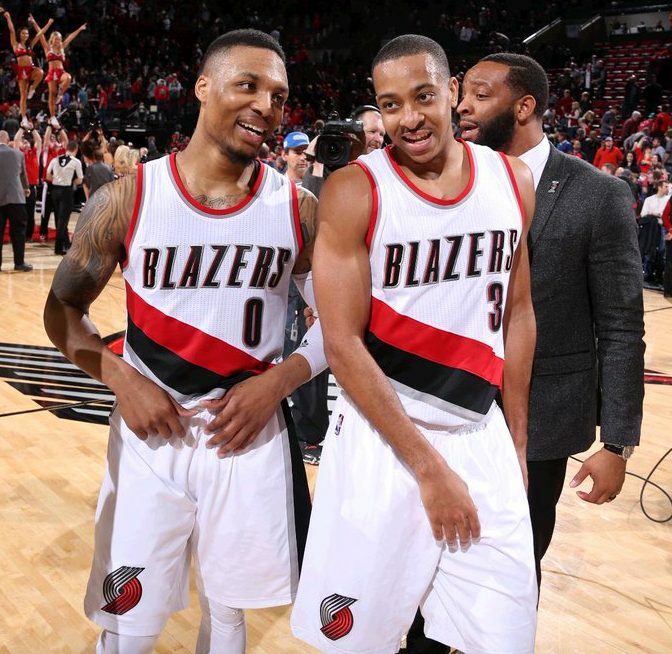 After a crazy series of events, the Blazers went on a 6-0 to tie the game with 23 seconds. Washington put the ball in Wall’s hands. With time winding down and the defender falling to the ground, Wall missed a wide open shot to win the game. For the second straight game, the Wizards was headed for overtime. The overtime game went back and forth throughout the extra time. With Washington down three points, Beal shot a three-pointer and was fouled. He went to the charity strike for three shot with 31 seconds and knocked down two. This made it a one-point game. Portland put the ball in Damian Lillard’s hands, who had nine of their 12 overtime points. Wall came from behind to block his shot attempt. Washington would have the final possession down by one point with six seconds. Beal got the ball, drove the lane and kicked it out to Markieff Morris in the corner. Morris pumped fake and stepped in to hit a game winner. Washington has now won seven of its last eight game and are second place in the Eastern Conference standings. 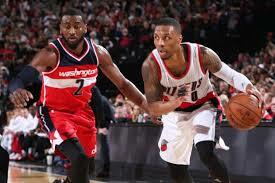 Wall led the Wizards with 39 points and nine assists. Beal had 26 points and six points. After a slow start, the Wizards frontcourt combined for 46 points and 36 rebounds. Lillard had 33 points while McCollum had 34. This was a back-to-back game (both overtime) for the Wizards so the fatigue is clearly starting to kick in. Washington ends their five-game west coast road trip on Monday against the Minnesota Timberwolves. The last time these two teams faced off in January Washington won by 17, overlooking 41 from Andrew Wiggins. Minnesota record may not show it but they have a nice, young team. Karl Anthony-Towns and Wiggins are stars in the making and have carried this team this season. They lost Zach Lavine for the season with a ACL injury. They are coming off a one-point win over the Warriors and a 16-point win over the Clippers this past week. Washington needs to focus mainly on Wiggins, Towns and the court vision of Ricky Rubio. 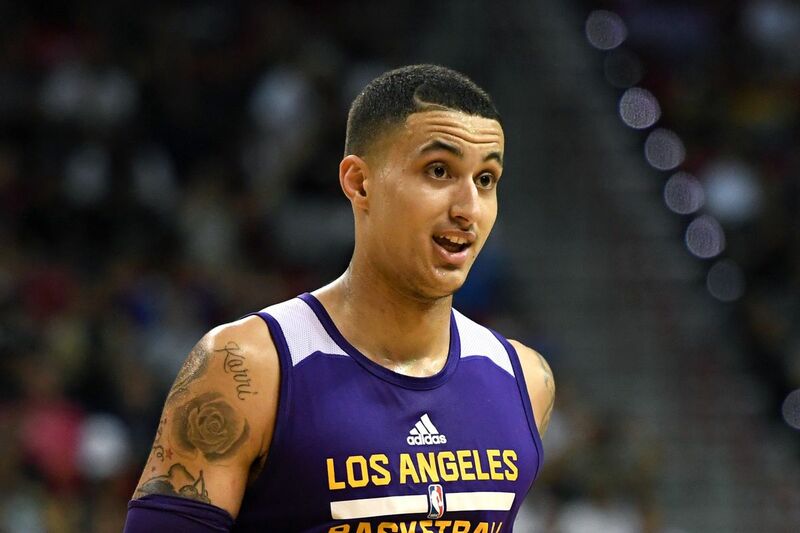 This young team can run up and down the court so Washington will have to stay alert. This is their last game before returning home. If they can pull out a win, they will have a perfect record on their west coast road trip. The Wizards will have to control the paint in this game with Towns and Gorgui Dieng down low. As long as they can control the pace of the game, they will go home 5-0 on this trip.